Geoff has over 35 years’ experience in transformation leadership and IT innovation as Board Executive, Non-Executive Director and Information Security advisor, who gained extensive international capabilities working with both SMEs and blue-chip organisations across multiple sectors. 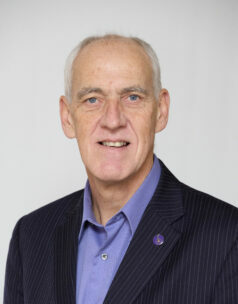 Geoff is a Board Member with Incommunities Group Limited, a former Non-Executive Director with the NHS and an Advisory Board member with NaviSite Inc. He was Group CIO with Celerant Consulting, following 10 years as Managing Director, Technology and Security, with UBS (Investment Bank and Wealth Management) and a Transformation Leader with Gemini Consulting, Allied Irish Bank, Pearl Assurance, Halifax Building Society, National Air traffic Services, CAP Gemini and Arthur Young. Geoff graduated from University of Birmingham and is former international basketball player and a keen golfer. Married, he enjoys travel and fine dining.